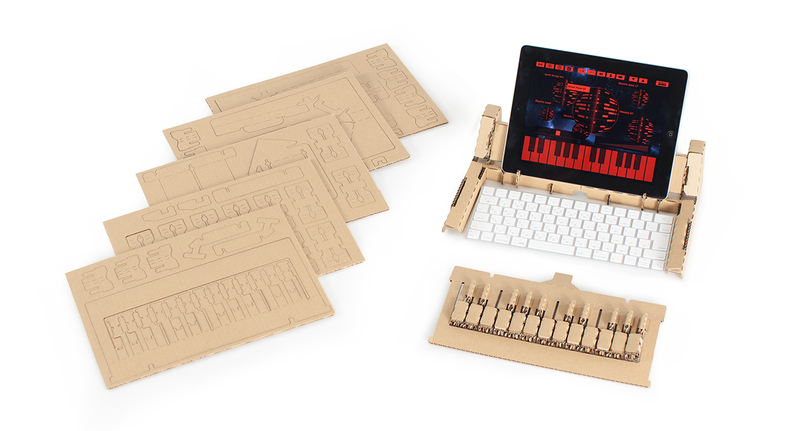 KAMI-OTO is a fun hobby-kit to craft a keyboard from cardboard. 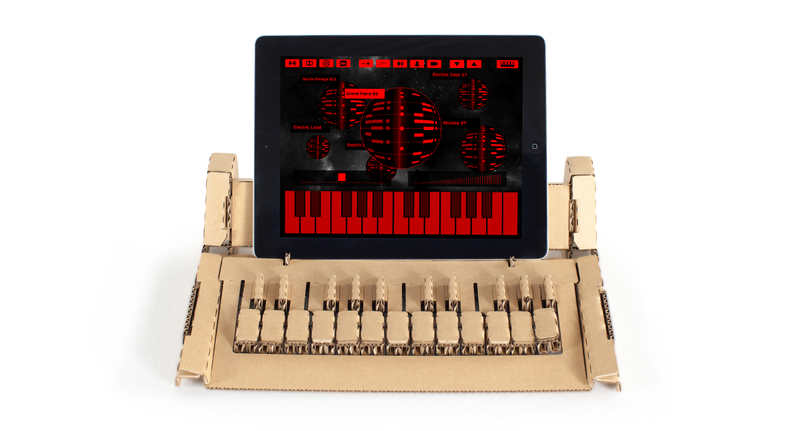 Put it on an ASCII keyboard and it will magically transform into a musical typing keyboard, which can be used to play music or music games. 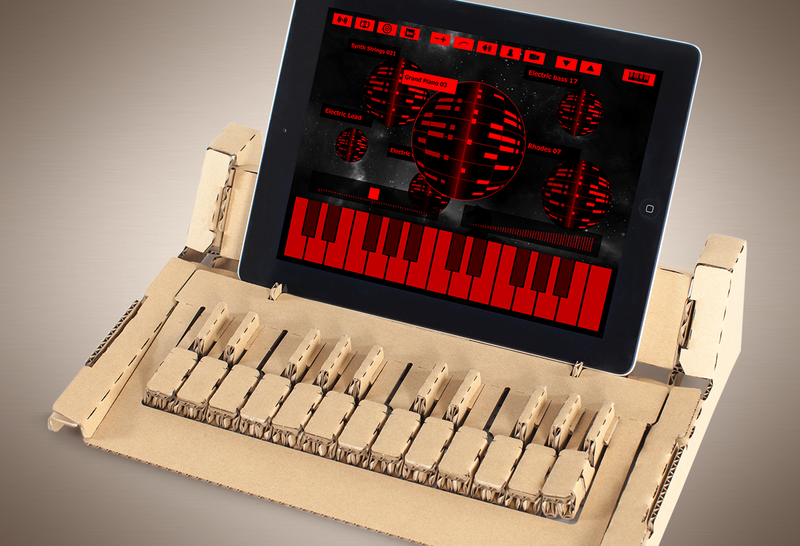 By using it with its iOS/Android application, which will be available at the same time, you will be able to enjoy it as a synthesizer with the same.